This class will help you to grow by learning about what COTC believes and by learning how to grow in your faith. When you come, follow the Next Steps signs to Group Room B.
April is a different month because of Easter so Next Steps will happen the 1st, 2nd (Saturday only), and 4th weekends of April. WHEN IS NEXT STEPS NORMALLY? For the month of April only, My Purpose will only be offered Saturday, April 13th at 6:00 PM, no Sunday option. WHEN DOES NEXT STEPS NORMALLY HAPPY? Still looking at how to get involved? Come to My COTCFAMILY! Sunday, April 7th, come out and learn more about how to make COTC your FAMILY. This is an overview of all things about the church. Since March 2019, Next Steps happens every 1st, 2nd, and 3rd weekend of every month. This is your next step if you want to be connected at Church of the Cross. Saturdays will be at 6:00 PM during service and Sundays will be at 11:00 AM during service. Sunday | April 7th at 12:30 PM. Still looking at how to get involved? Come to My COTCFAMILY! Sunday, April 6th, come out and learn more about how to make COTC your FAMILY. This is an overview of all things about the church. Sunday | April 6th at 6:00 PM. We have a date planned for you! 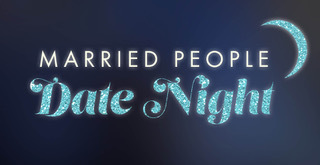 Stop by the church Friday, March 15th between 6:00 - 6:30 PM and grab your date night bag. In the bag you will find instructions for your dinner date and some extra goodies. Childcare will be provided at COTC for $5 per kid. Mark your calendar and RSVP at the Welcome Center or by calling the church office at 941-756-0060. Dating in marriage is NOT an option. Still looking at how to get involved? Come to My COTCFAMILY! Sunday, February 3rd, come out and learn more about how to make COTC your FAMILY. This is an overview of all things about the church. Starting in March 2019, Next Steps will be happening every 1st, 2nd, and 3rd weekend of every month. This is your next step if you want to be connected at Church of the Cross. Saturdays will be at 6PM during service and Sundays will be at 11AM during service. Sunday | March 3rd at 12:30 PM. Jingle Jam is a Party Big Enough for the whole family! Join us as our cast of crazy characters learn about the true story of Christmas. This fun family experience is Wednesday, December 12th. It all starts at 6:30 PM in our worship center and ends in the Oasis with lots of sprinkles at our annual cookie decorating and craft party. Bring the kids and the neighbors. This is a night you won’t want to miss! Doors will open at 6:15! We all have been given a specific gifting by God in order to live out the calling that He has placed on our lives. The only question is: How do we find out what that gifting is? At Step Two, we focus on learning who God has made us to be and discovering how He has gifted us. Next Steps happens in three consecutive Sundays, starting with Get Connected Luncheon. We invite you to jump in at any time. This class will help you to connect by learning the story, beliefs, and mission of COTC. It will also help you to get connected to other people and join the church.